After showing you our West LA / Santa Monica neighbourhood earlier this week, I thought I’d better get a move on and write up a few words about our brief stay in Chicago before the photos become meaningless to us. I know that somewhere, on our back-up HDD and DVDs lie a slew of photos, not even uploaded to Flickr, of our last trip to Chicago in 2009. So maybe this is the time to pull those out of the archives and retrospectively revisit the Windy City, sans baby. But for the purpose of this post, we had a wonderful time in Chicago, baby and all, at the end of May, staying in a lovely bed and breakfast apartment at the intersection of Old Town and Lincoln Park, where the fridge was well-stocked with fresh fruit and breakfast supplies, and the accommodations were comfy and cozy. 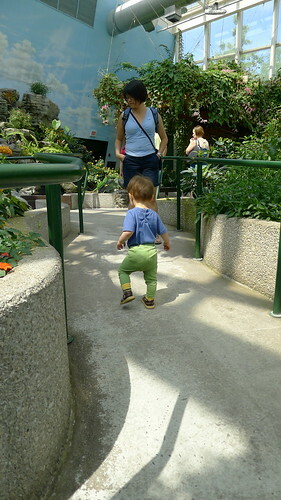 Fin certainly gave it his seal of approval upon arrival, as the following video shows. 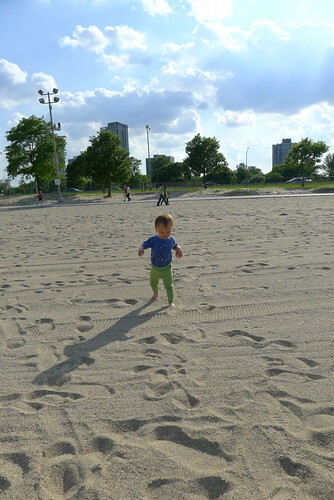 We had a leisurely time in Chicago, with the aim of meeting up with P’s aunt and uncle, also visiting Chicago from England, about once a day. And otherwise, just enjoying our time together1, hanging out on the patio for loooong breakfasts and stomping around the Old Town and Lincoln Park neighbourhoods of Chicago. 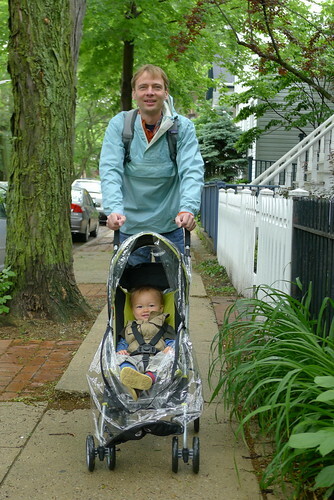 We were treated to one day of torrential rain, but that didn’t deter us, having brought along our usual waterproof jackets 2 and a cover for the stroller. We were lucky on the next day, with slight drizzles amusing Fin who preferred to kick off the rain cover. 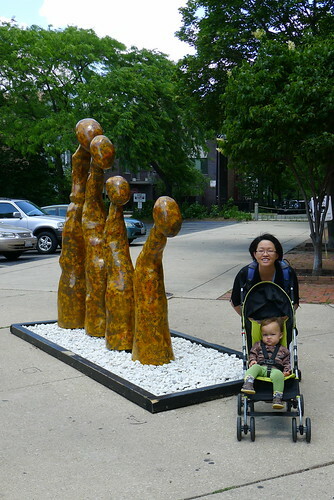 Fin’s not very impressed by the fungi-like statues. 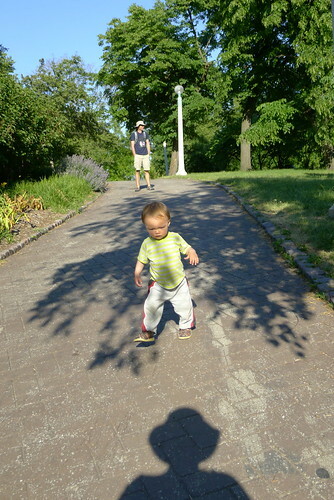 In the large expanse of Lincoln Park, you can find all manner of baby, toddler, child and child-at-heart amusements. 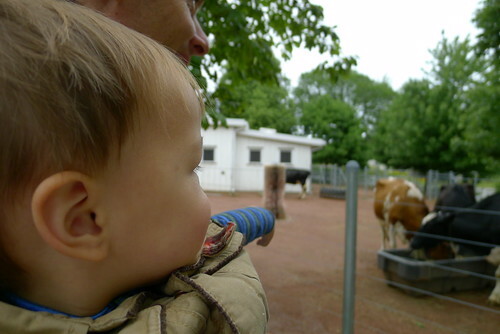 For example, there was a petting zoo by the side of the real zoo, where you could touch well-groomed goats or ponies. I have never seen farm animal poop being scraped up quite so quickly as at the Farm in the Zoo, except maybe at the Royal Highland Show3, if you suspect your freshly washed and groomed cow is about to sit in her own poo! 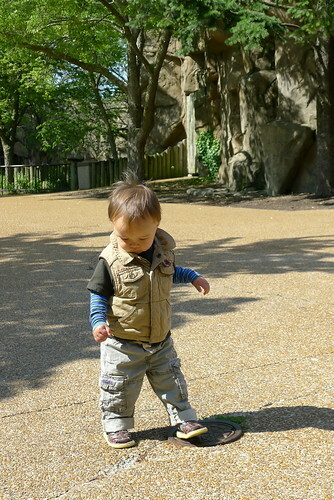 And in the zoo itself, there was plenty of room for a baby to toddle about unimpeded on a wet weekday morning (more on that in future posts). Cracks in the pavement are fascinating. 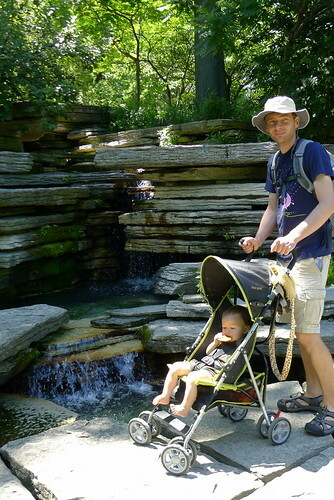 Also within Lincoln Park, at the north end, is the Peggy Notebaert Nature Museum, which is kid-centric, but still fun and informative for us older kids. 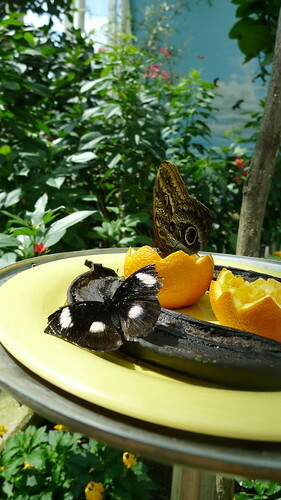 On the recommendation of a friend, we checked out the butterfly haven. 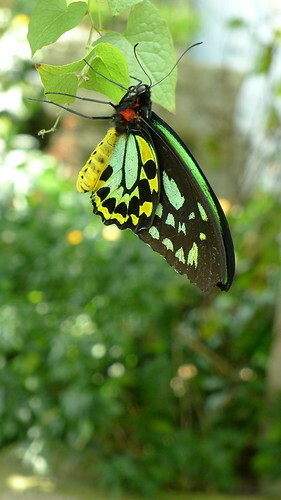 P and I were completely enthralled by the array of beautiful wings, but Fin had other things to do, like chase shadows and play hide and seek with the curator. 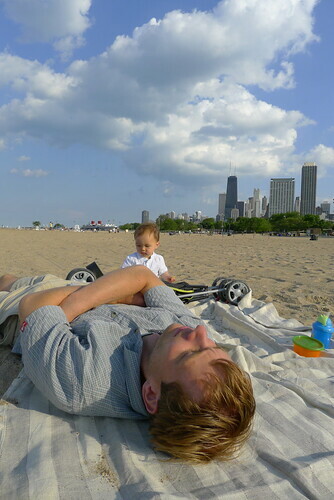 There’s even a beach between the park and Lake Michigan for relaxing on. 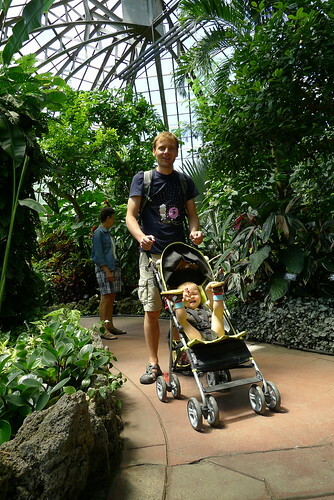 Lincoln Park is also home to a large conservatory, which has a wide selection of tropical plants and a room dedicated to ferns. 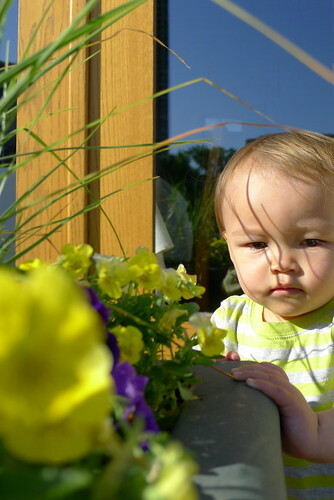 Fin was not all that impressed, having already ascertained that he’d not be let out of his stroller for fear that all the flowers would get picked. Some of these ferns were even around in the Jurassic age! 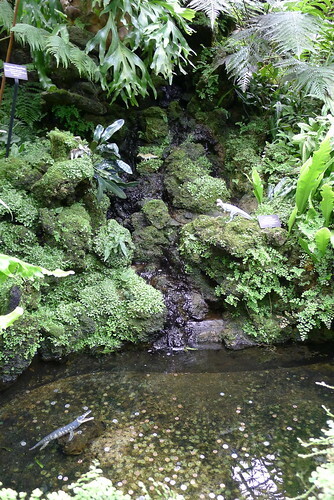 But he perked up later by the lilly pond, where he dedicated his attention to his senbei (rice cracker) over the well-manicured waterfall and pond. And at the northern end of the park, the north pond held many sources of fascination, including ducks, geese, herons, turtles, benches, flower pots and slopes. 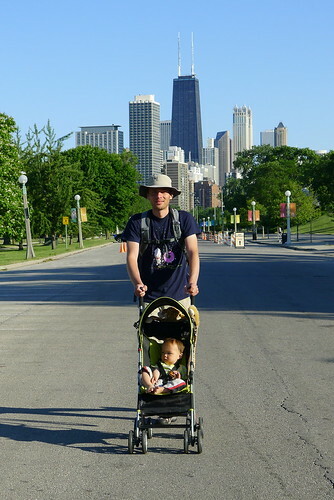 The nicest thing about staying in Lincoln Park was that we could walk out everyday for a new adventure without worrying about where we could let Fin out of his stroller and roam free. But another bonus was its closeness and ease of access to downtown. Ah, Lincoln Park, we miss you already! 1 Or in the case of tantrum times, surviving as best we could. 2 Until we moved to California, we travelled everywhere with rain jackets and rain trousers, because, you know, Western Europe is wet, as is Singapore. Soaking wet. Especially during the off-peak times at which we travel. Now, we actually have to remind ourselves to pack a rain jacket. That’s how soft LA has made us. 3 The RHS was on just last weekend, and we’ve yet to Skype Granddad to find out how the judging went. After years of attendance, I feel like I have a vested interest in his fellow breeders of Salers and Herefords, and keep my fingers crossed for ribbons for their beasts. And of course, we always wait to hear how the offspring of Granddad’s prize bulls and heifers have done! 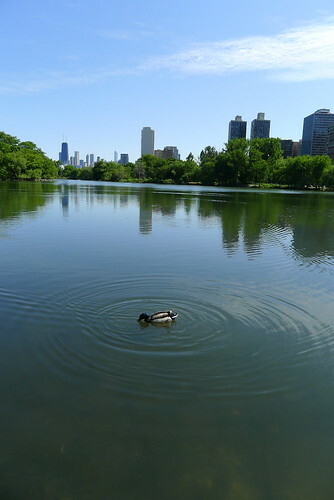 This entry was posted in akatsuki snaps, akatsuki travels and tagged Chicago, ducks, flw, gratuitous baby photo, Lincoln Park, park, photo journal, photos, pond, video, zoo. Bookmark the permalink.